The debate about the best basketball player in professional history rages on. It might never actually get settled, unless LeBron James wins several more championships than Michael Jordan. Then again, that might not be enough to settle it for some folks. In a recent article at The Players’ Tribune, Allen Iverson decided to weigh in with his opinion on the Greatest Of All Time. Who did AI pick? MJ, of course. Iverson wrote that he could not be influenced by stats or anything else, and called Jordan the “Black Jesus”. 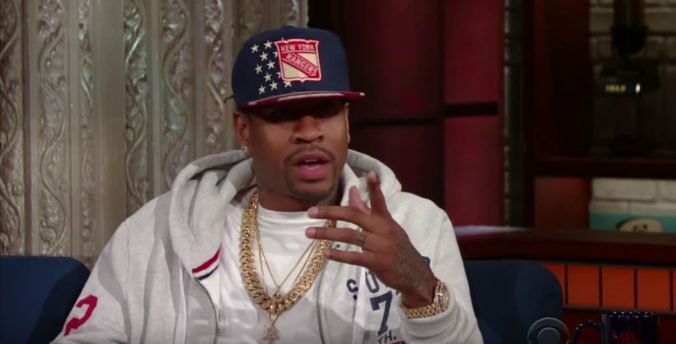 Iverson went on to cover all several topics, including his style of dress, super teams, trusting the process in Philadelphia, and his all-time starting five of Stephen Curry, Jordan, Kobe Bryant, LeBron James, and Shaquille O’Neal. The Answer has never been anybody but himself.